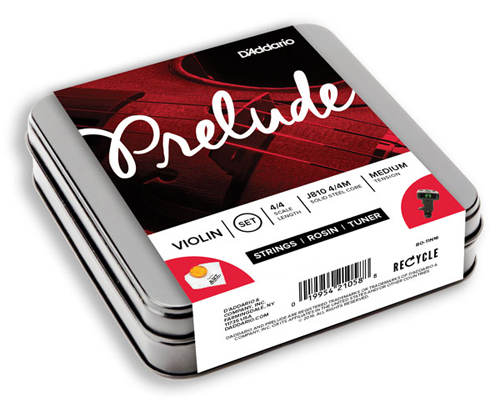 D'Addario has combined their widely popular Prelude violin string set with two other essential accessories and packaged it all in a beautiful collector's tin. Prelude violin strings are manufactured using a solid steel core. Unaffected by temperature and humidity changes, they have excellent bow response and the warmest sound available in an affordable, solid steel core string design. 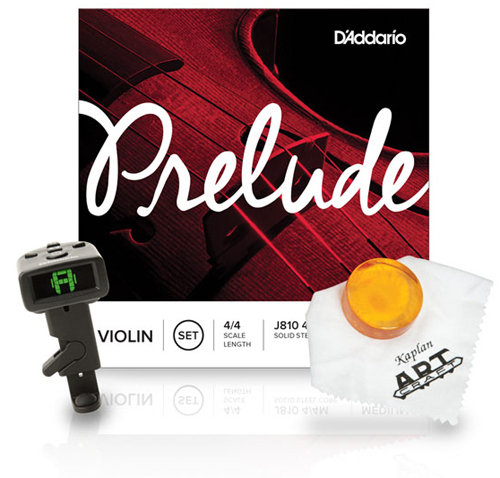 This bundle includes an additional an NS Micro Violin Tuner and a free Kaplan Artcraft Rosin in Light. Q: Is the E string ball,loop, or removable ball-end? All strings have a ball end and can be removed. Thanks!